Starting a Blog? Which Blogging Platform Should You Choose? So, you woke up this morning and said to yourself, “Today is the day I start my blog!” Give yourself some fist-bumps for making that decision, because a blog is one of the top marketing tools for a home based distributorship business. By the way, I’m not talking about the advanced virtual office personal website offered directly through Young Living. That’s a website, and for now you still need to create a separate blog that links back to the PWS. I’ll give you some in-depth knowledge about the PWS in another article. I can’t say enough about Weebly. The best thing about Weebly is that it does NOT offer the moon and stars to users—you get powerful but basic features, uncluttered and un-confused. The free version offers lovely themes, customizable pages with drag-and-drop elements, easy blogging, automatic mobile sites, social media links, and a bunch of other cool features. If you don’t have your own personal domain name yet, this is a great way to get started and practice blogging by letting them give you a free URL. Once you buy your own domain name, it’s easy to upgrade your account. At that point, you pay $4 a month and get even more capabilities—namely, advanced support and site statistics, which come in very handy for you to analyze what’s working on your blog. I typically recommend you upgrade to the Pro level, though. It will set you back $8 a month and you get a whole bunch of design features so you can use videos, audios and photos quickly and easily. You might not think you need all those features right now, but as I teach you more about advanced media you might change your mind. You don’t need the Business account ($25 per month). Young Living corporation handles all the ecommerce for your distributorship already. If all that sounds good to you, head over to Weebly and read more about it. The free version of WordPress is pretty awesome, I have to say. You can choose from a bunch of themes, integrate your other social media efforts, explore site statistics, add some great plugins, and buy a domain name or not to start. 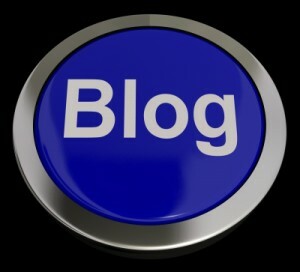 Again, this is a great place to practice the technology and blogging in general. Read more about WordPress features here. If you dream of Big Blogging and are comfortable being fully in charge of your online presence, go with the advanced version of WordPress available here. You’ll need a web host (I recommend my own guy, Ron Tomasetti), your own domain name (please don’t use GoDaddy), and a courageous spirit. The themes and plugins available to self-hosted WordPress users are stellar, and you get so much more creative power by going in this direction. 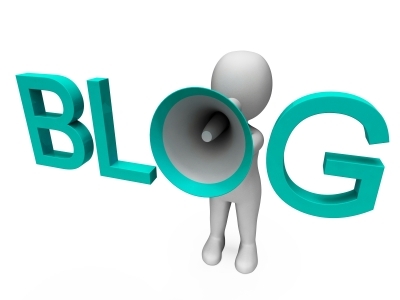 Blogging is just one of the features available to you, and a WordPress blog looks professional and functions well. In addition, you get some amazing capabilities out of your hosting provider, too, and full control of what goes on in your online world. Many Young Living independent distributors have other business ideas, and essential oils are one branch of a bigger business tree. Fully hosted WordPress is a great way to “bring all the chickens back to the coop” so to speak, because its power lets you streamline and integrate everything together, centered around your blog. The North Grove Marketing blog you’re reading right now is a self-hosted WordPress site. I lay out about $27 per month for my hosting. Like I said, check into my guy Ron. He’s a Minnesota boy who moved to New Jersey, but we can’t fault him for that. Find his phone numbers and email addresses here: http://firewebsitehosting.com/contact-us/phone-a-mail.html. While I love WordPress almost as much as Weebly, it’s not for the faint of heart. If you feel you need more practice using blogging software and would prefer simplicity, go with Weebly. If you want to build a big business or multiple businesses, go with your own hosted WordPress blog. From what I can gather through research, Blogger may be a little complex for beginners or people who aren’t comfortable working with blogging technology. It is fully integrated with other Google products, so if you use your Google account a lot, it’s pretty straightforward to start a blog. Sign in to your Google account to get started. I’ve noticed that my more artistic clients and friends tend to use Squarespace. These blogs are very pretty, and apparently the drag-and-drop design tools are nicely intuitive. It’ll cost you between $8 and $14 per month. Go to Squarespace to investigate what goes on over there. Whew! That was a pretty extensive overview! If you’ve used any of these blogging technologies, please leave a comment below with your thoughts and feelings (especially if it’s one I haven’t personally tried yet). 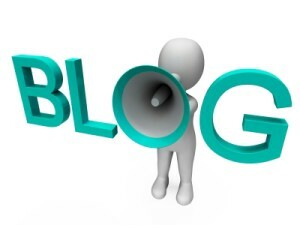 Otherwise, leave a comment about how your blog has helped or could help grow your Young Living business so others can learn from your experience.